many happy Asha® princess customers. 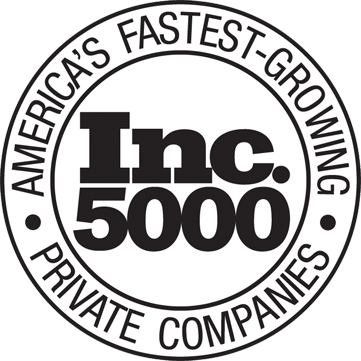 "I just wanted to say that I purchased a 2.5 princess cut stone...after much research about your company and other online companies. 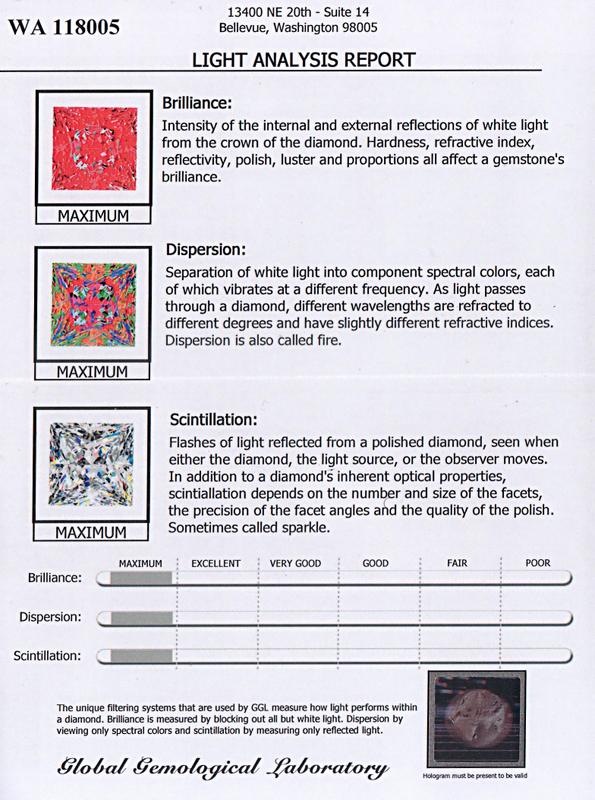 The princess cut is called a square/rectangular modified brilliant in GIA grading reports. 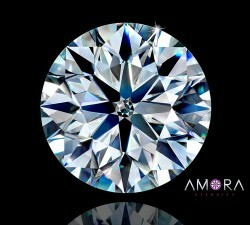 Unlike most simulants, our Asha® princess cuts are correct princess cuts, 76 facets, the same as natural diamond. In order to ensure that our princess cut was produced as ideally as possible, we asked David Atlas, inventor of the AGA-CERT diamond cut classes, to review our Asha princess. 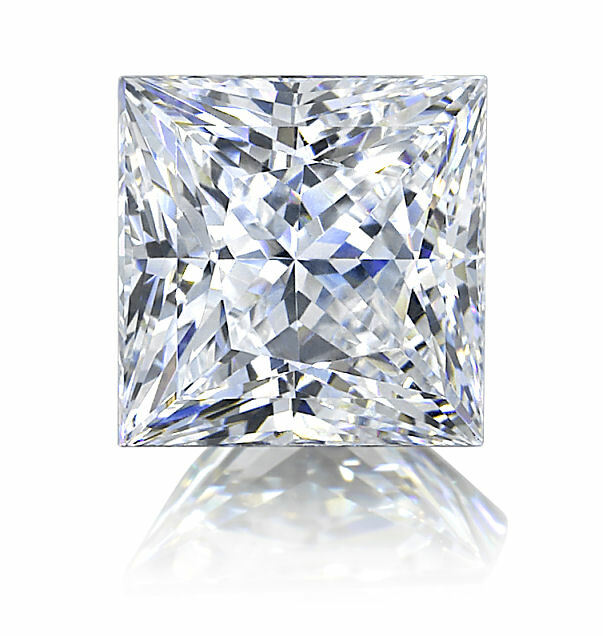 It looks better than most princess cut diamonds as it is. 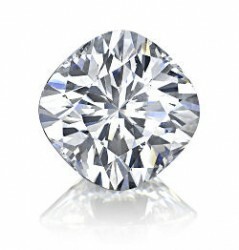 The three diamonds it was compared to total $15,518 at wholesale cost. Our ring options that can accommodate a princess cut center stone can be found here. When you order a ring and a stone within the same order, we will set your stone free of charge! 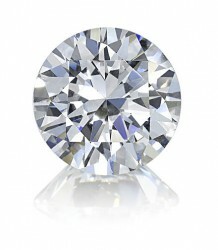 I was devastated when I lost my center stone in my ring so I called the insurance company. There is so much red tape and hassle and a $1,000.00 deductible that I decided to look for a replacement that looked as gorgeous, but not cost thousands of dollars. I found it with the Asha princess cut. The jeweler is going to replace the head to make sure the stone does not come out so I got a 1.25 carat which is .25 carat bigger. The fire and sparkle of it is truly amazing!! Can't wait to get it back. I was very pleased with the customer service that BTD has shown. I received my stone in 4 days!! They have complete instructions for jewelers to follow to ensure the stone does not get damaged as well. Very pleased!!! I will be back for stud earrings soon!! it is so shiny and look so real, best buy ever in my life!! Owned my Asha for nearly 5 years now! 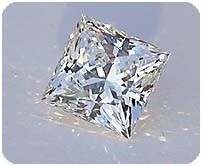 About 5 years ago after many, many hours of research, I settled on the Asha Princess Cut stones. 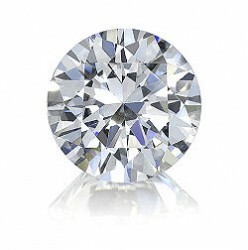 I ordered two one-carat stones, and one - 3 carat stone for a Past, Present, Future ring. From past experience, I was prepared to be disappointed when I opened the boxes, but to my surprise I was more than thrilled. I took them to a very high-end jeweler to have the ring made and he thought they were diamonds. He didn't even question if they were "real" (neither has anyone else).He was very embarrassed to learn they were not "real" diamonds. I constantly get compliments on this ring) I even had a lady follow me out of a restaurant just to look at it. About 2 years after I bought them I read that the Version5 had come out so since I had a Lifetime Replacement Warranty - I exchanged them for the newer version. As happy as I was with the original ones - I was even more thrilled with the version 5. I have learned one thing I'd like to pass along - I clean my ring only with Dawn. It cuts any grease and leaves the stones sparkling bright.RINSE WELL AND DRY WELL. I was told to not use ammonia on these stones so for 5 years now I've used only Dawn. My stones stay Brilliant. I'm thinking about buying a 4ct princess for a solitaire, right hand ring. You will NOT regret buying an Asha stone - they are the best on the market - even better than DIAMONDS! !